Indian Online Portal PayTM has started Payments Bank Service. Now you can create your Savings or Current Bank Account and avail the banking services. The PayTM Bank is RBI Approved and works almost like a usual bank, but with notable differences. This initiative is a significant step towards a new era of cashless transactions and mobile banking. I received a lot of queries regarding PayTM Payments Bank, and I am listing them here below. Q: What are the benefits of PayTM Payments Bank? A: The first benefit is that you can keep your wallet balance zero also. You need not have any balance in your bank account, and still, you can use the banking services. You will get a plastic debit card to use offline across all retail stores. You can also send and receive money to and from anyone. You can use the internet banking services with PayTM. 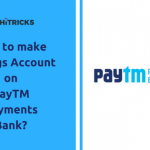 Q: How to create a Savings Bank Account at PayTM? A: I wrote a complete post on this specific query, with all necessary details. 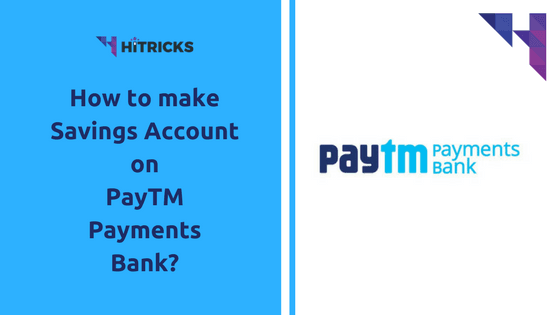 Check this article to know How to Create a Savings Bank Account at PayTM. I described the whole procedure step by step. Q: What is the interest rate on PayTM Payments Bank? A: PayTM will offer higher interest rates than normal balance so that you can keep more money in your account. However, till now PayTM has not announced any interest rates yet. But according to some rumors, it is going to offer 14.5% interest rate. Once I receive any official announcements regarding the same, I will update it here. Q: What is the difference between a Normal Bank and a Payments Bank? A: A payments bank account balance cannot exceed 1 lakh at any point of time. You can do transactions up to 1 lakh only. A payments bank is not allowed to lend to customers. Hence, you cannot officially avail loans, pensions, mutual funds, etc. from Payments bank directly. However, don’t worry, PayTM has partnered with 3rd parties and financial institutions to offer these services. Q: What KYC documents are required for creating my Savings Account on PayTM? A copy of your PAN card (optional) if you want to spend more than Rs. 50,000/- in a single transaction. The Documents needs to be self-attested. That is, you need to put a signature on the photocopies of the documents. Start your name from inside your document in the photocopy and finish outside the document on the paper. Q: What will happen to my existing PayTM Wallet? A: Your existing PayTM Wallet will be migrated to the Savings Account of PayTM Bank. If you have any balance left in your wallet, that balance will be automatically transferred to your bank. Q: Can I choose not to use the PayTM Banking Services? A: Yes, you are free to choose whether you want to use the PayTM Banking Services or not. If you don’t want to use the PayTM Banking Services, only leave an email to [email protected] writing your views. Q: Can I withdraw money from ATM using PayTM Bank? A: There is no official news regarding the same. But according to Indian Law, Payments Bank customers should be able to withdraw money from ATMs. So, fingers crossed. Let’s see. I will update if I get any news. Well, don’t worry. You will get a physical debit card to use anywhere offline. Also, you can send money to your friends and family on PayTM like you used to do earlier. So, it is not much of a Problem. Q: Will I get any debit card from PayTM Bank? A: Yes, you will get a physical plastic card from PayTM which will work as a debit card. However, you cannot use that to withdraw money from ATMs. Q: Will PayTM Prepaid Plastic Card work for international transactions? A: We haven’t received any updates regarding the same till now. Once I receive any update, I will write it here. Q: Is there any changes in other sectors of PayTM? A: No, everything else works like previously. 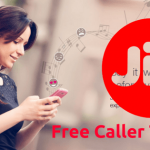 You can shop, recharge, do DTH Payments, book movie tickets, pay electricity bills, fees, etc. like you used to do earlier. Nothing changes. Not even your PayTM Login Id and Password. Thanks for reading my FAQ post on PayTM Payments Bank. I hope all your doubts regarding PayTM Payments Bank are clear by now. If you still have queries, comment them below. I will answer them. At least I will try to answer them. And don’t forget to share this post with your friends and help them know about PayTM Payments Bank in details. Use the social share buttons below. That’s all for now. I will soon be back with another fantastic post. Till then, have a look at my other interesting articles. Stay Tuned.